I’m going to be blunt. The digital revolution makes all that old stuff just garbage. You can make an inkjet print that beats any platinum print hands down. You can do color prints on matte surface rag paper with a color response that’s better than anything we’ve had. I just can’t wait until digital C-prints disappear, because I think they’re really stupid. They’re made on this hugely expensive device with conventional chemical photographic paper and usually without a very good tonal scale or color scale… But boy a good inkjet print is a killer. The opinion of Richard Benson is worth listening to. He has more experience and knowledge about printing than almost anyone. Not only has he been a professor of photography at Yale for 20-years, he also has just come out with a book on the history of printing technology going back to the Renaissance. 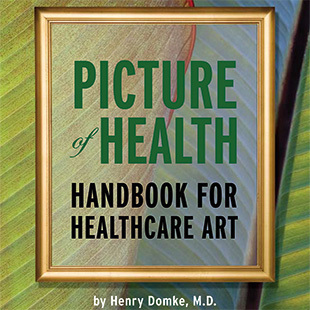 I plan to review this book (The Printed Picture) later this week. 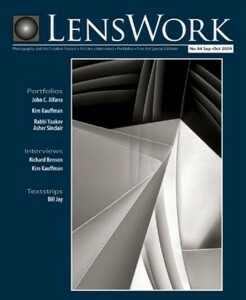 Lenswork is one of my favorite magazines. Rather than deal with talking about the latest gadgets, Lenswork discusses the creative process behind successful fine art photography. Getting a print made is something I look forward to. Nice to know experts think well of the process. Inkjet prints really are magical. I used to love to see prints emerge in the developer bath in darkrooms, but this is MUCH better. I agree. The quality of the color and the tones is beautiful, and the creative possibilities are huge. I’d love to hear some of my old teachers at Columbia College respond to that. They’re still fighting over film vs. digital, and I think in the process, destroying what was once a decent program. I think school programs are often the last to make the switch, as there are so many old professors that hang their reputations on technology and craft rather than ideas and art. Henry, I know they’re magical from having seen yours.